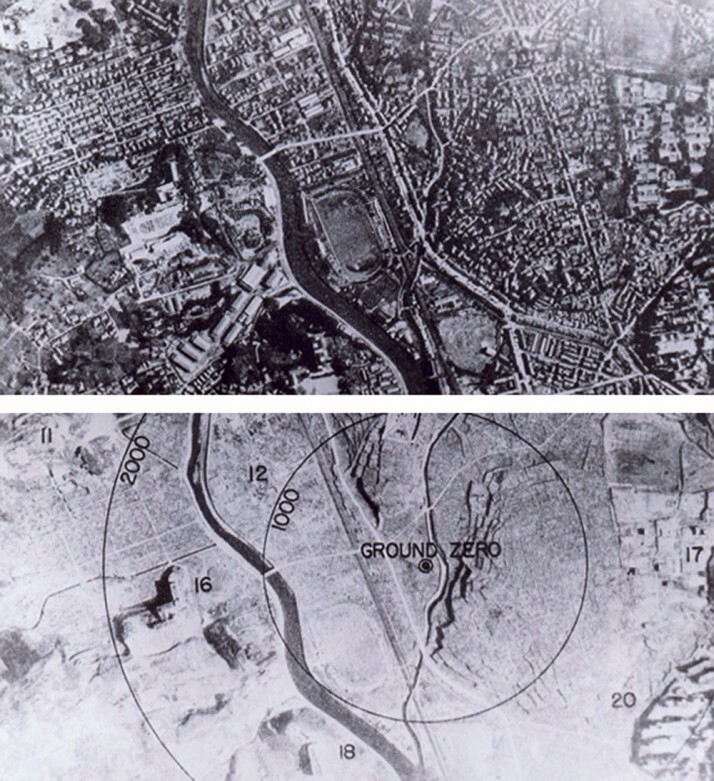 On August the 11th 1945, three days after the bombing of Hiroshima, Nagasaki became its atomic sibling – forever to be known as the second city destroyed by an atomic weapon. 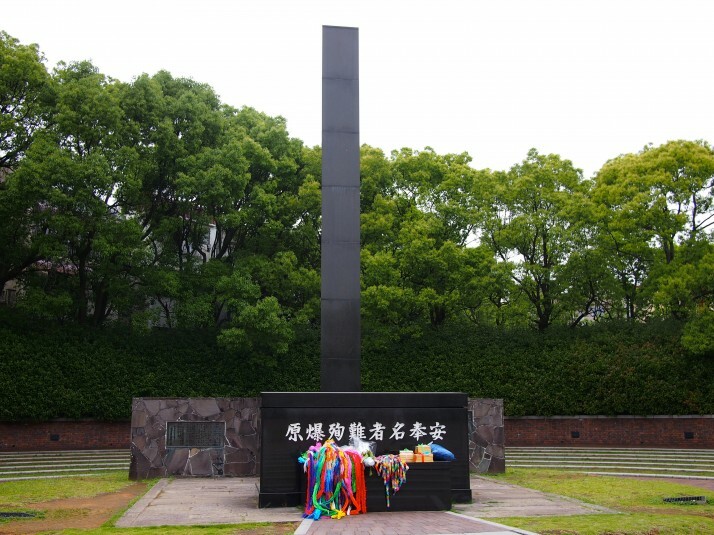 This tragic event was the only thing we knew about Nagasaki before we arrived, and it turned all the more tragic when we learned of its rich and important history. Nagasaki was originally founded by the Portuguese and had long been Japan’s main trade gateway with the rest of the world. As well as goods, news, knowledge, food and religion passed through Nagasaki – including the quintessential Japanese cuisine tempura, which actually arrived with the Portuguese! During the Edo period (1603 to 1868), the Japanese cautiously opened up to trade with the west, but in an effort to keep the trade at arms length because of concerns over the the spread of Christianity through Japan, it annexed foreign traders to a small fan-shaped island called Dejima. Initially inhabited by the Portuguese, and later by the Dutch, all cargo from foreign ships had to pass through this 120m x 75m islet, where Japanese officials could monitor and record all transactions. 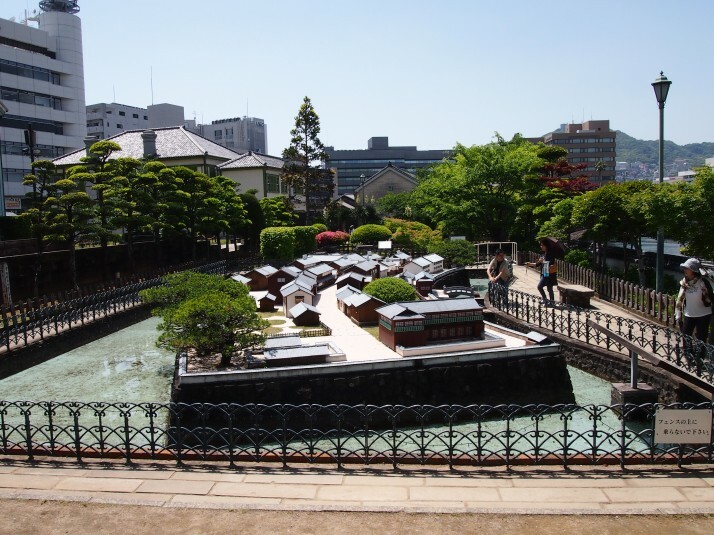 The trade brought many benefits to Japan and Dejima became known as a centre of medicine, military science, and astronomy. Many samurai travelled here for so called “Dutch studies”. As Nagasaki grew in the late 18th century, Dejima was reclaimed as part of the mainland and was lost until 1922 when the Japanese Government designated the land a National Historic Site and work began on restoring the canal that was originally dug to create Dejima, and re-establishing the buildings. 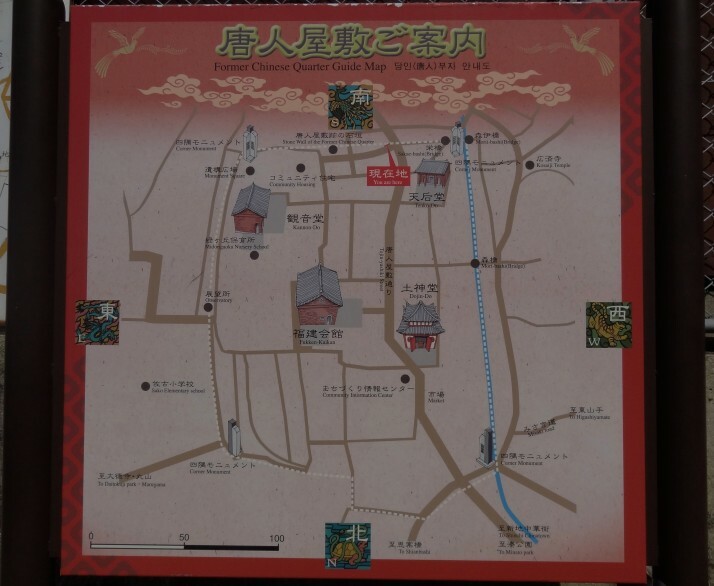 Because Dejima is still landlocked (save for the Nakashima River), it was difficult to visualise just how small it must have felt when it was surrounded by water, still, it was nice to see staff dressed in period costume, and there was plenty of information in English. 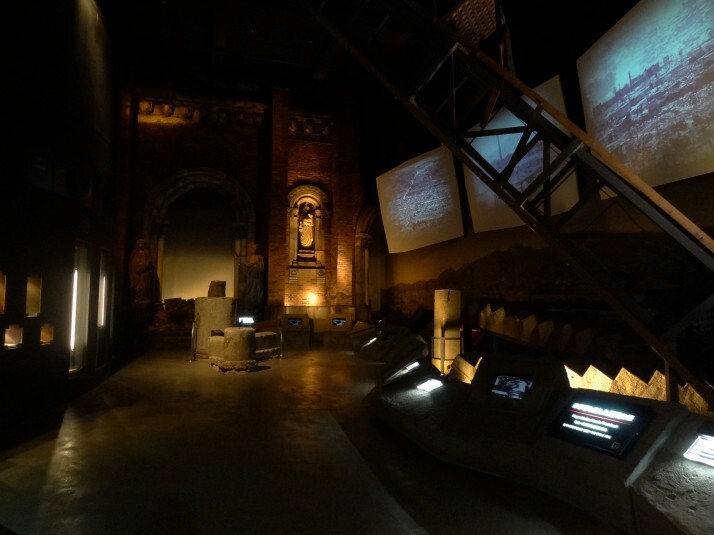 Some of the exhibits felt a little sparse, but that’s understandable as most of the buildings would have been used for storage and exhibits of crate-filled warehouses would get boring very quickly! 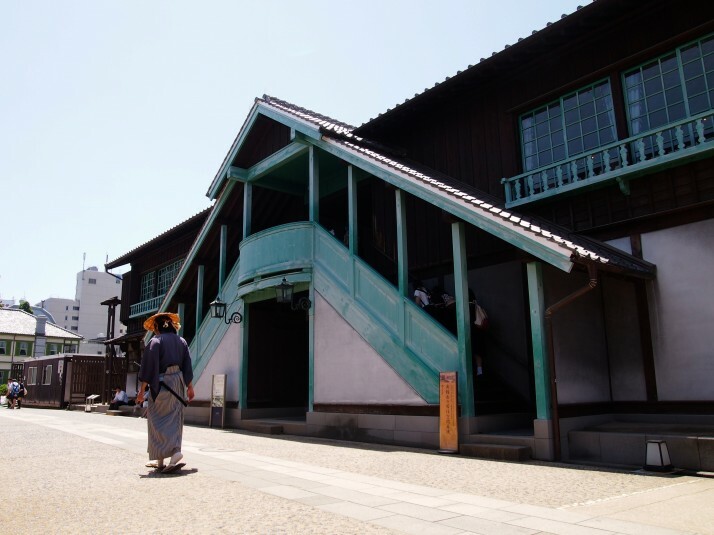 While the Dutch were restricted to Dejima, the Chinese traders were supposedly confined to a square walled section of the port’s mainland, but in reality they had almost free movement within the city. On the side of the valley overlooking the port, the old Chinese settlement was a little difficult to find because all that really remains of it are parts of the moat and some of the temples – the houses themselves have long since been replaced and it was very easy to get lost wandering through them. 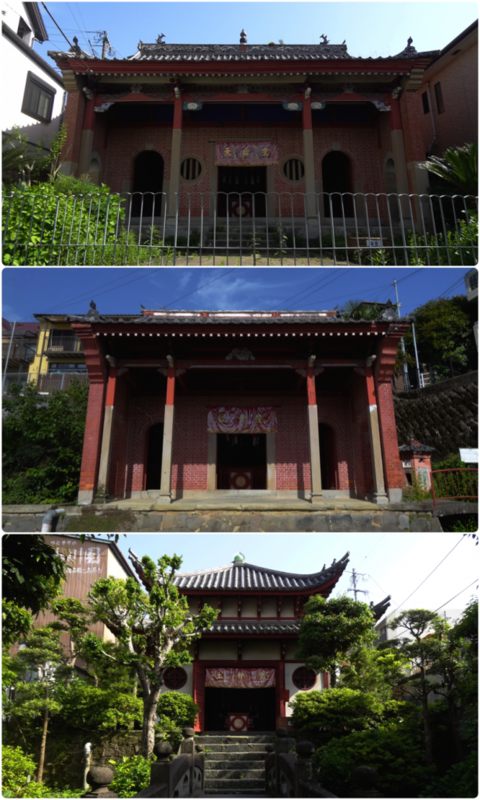 We enjoyed the peace and tranquility of the Chinese temples, and it was nice to wander through the maze of narrow streets, peering into the homes and lives of normal people. With the Meiji Restoration (1868 to 1912), Japan reversed its isolated stance and foreign trade was once again encouraged. 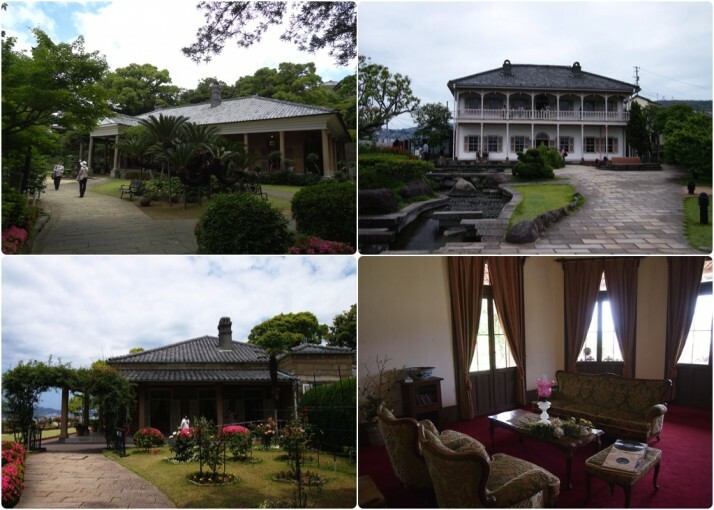 No longer confined to walled settlements, early merchants built lavish western-style homes overlooking the port, among them Thomas Blake Glover who was born in Scotland and moved to Nagasaki in 1859 at the age of 21. 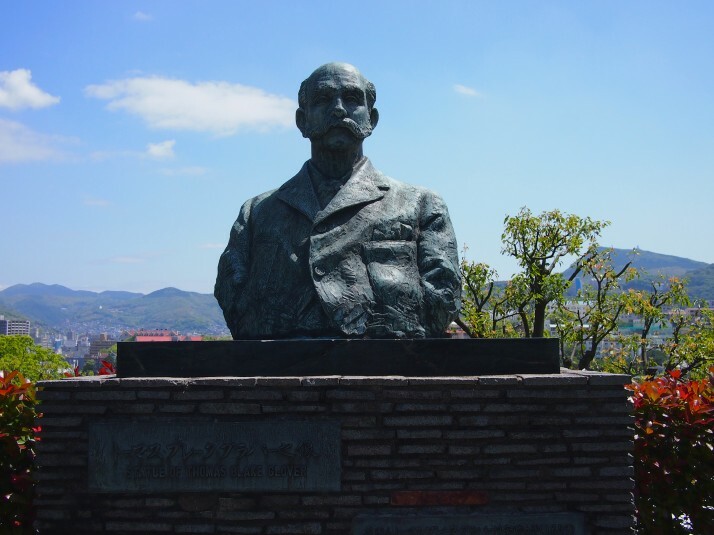 Glover is credited with developing western industrialisation and manufacturing in Japan; his shipbuilding business and dry dock later became the Mitsubishi Corporation of Japan; and he also helped found the Japan Brewery Company which became the Kirin Brewery Company – now the largest domestic beer producer in Japan and whose logo is said to be based on a dragon statue in his house and incorporates his legendary moustache. 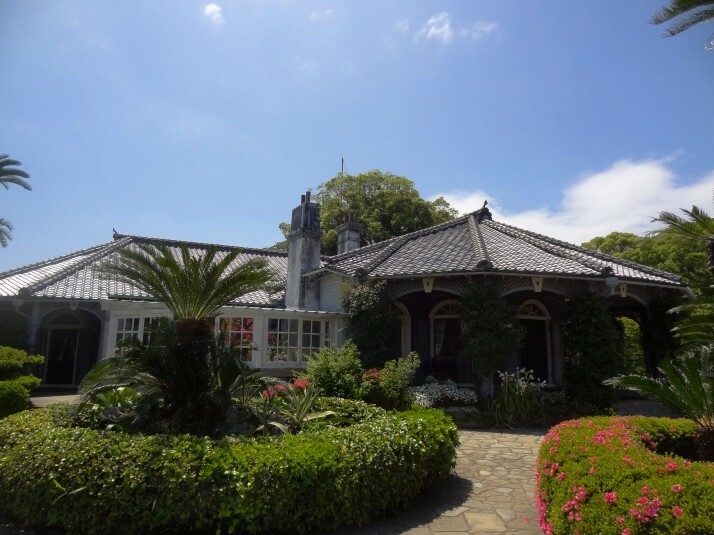 The Glover Garden is a collection of British entrepreneurial expat houses built on the same hillside overlooking the port of Nagasaki. All are very western in style and layout, and it was a bit like wandering through a well-to-do version of the Beamish museum back home! 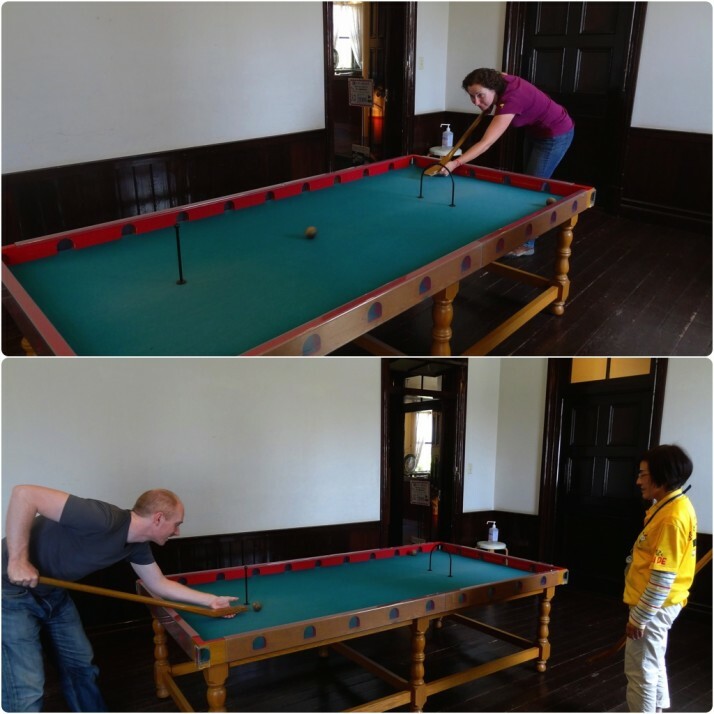 It was really interesting to learn about the strong British-Japanese connection. 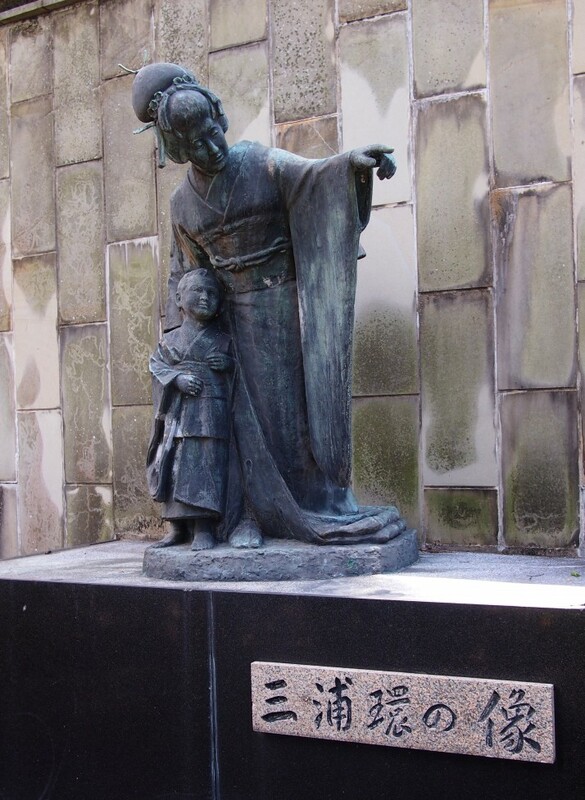 We also learned that Madame Butterfly is set in the same hills of Nagasaki, and there’s a statue of Japan’s most famous Madame, Tamaki Miura, in the garden. We took the cablecar to the peak of Mt Inasa, some 333m above the city. Because we were the only foreign tourists making the journey, we suspect the attendant played the English translation for our benefit, which we couldn’t help but laugh at – according to the recording, Nagasaki is in the top 3 night-time city port views in the world, alongside Hong Kong and Monaco. Yeah, right..
Nagasaki by night. One of the top 3 night-time city port views in the world. According to Nagasaki.. 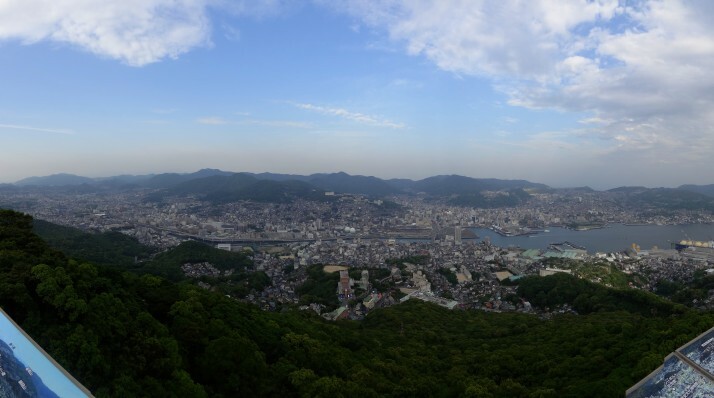 The view from the observation deck over the city was good, but Nagasaki lacks an iconic skyline that would make it immediately recognisable. As the sun started setting we settled down with a glass of wine at the mountain-top restaurant and watched the darkness descend and the lights come on. In England, I guess it’d be called Turkey Rice Surprise. 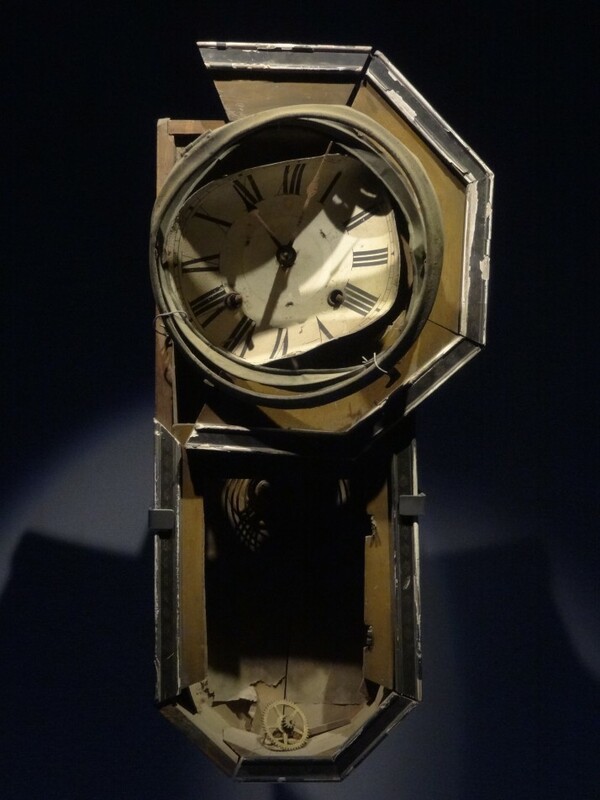 Having already visited Hiroshima’s Atomic Bomb Museum and Peace Park, we knew about the terrifyingly destructive power of atomic weapons, and we wanted to learn about the different consequences to Nagasaki. 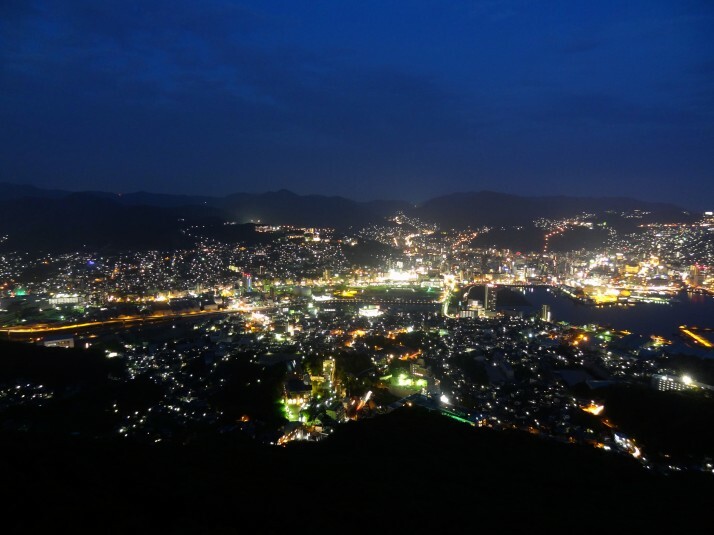 Nagasaki is a series of narrow valleys and hillsides that feed into the main Urakami valley, which meant that while the atomic explosion was more powerful than that over Hiroshima, the geography confined the damage to a smaller area. This in turn meant there were far fewer injuries, but there were a similar number of fatalities. 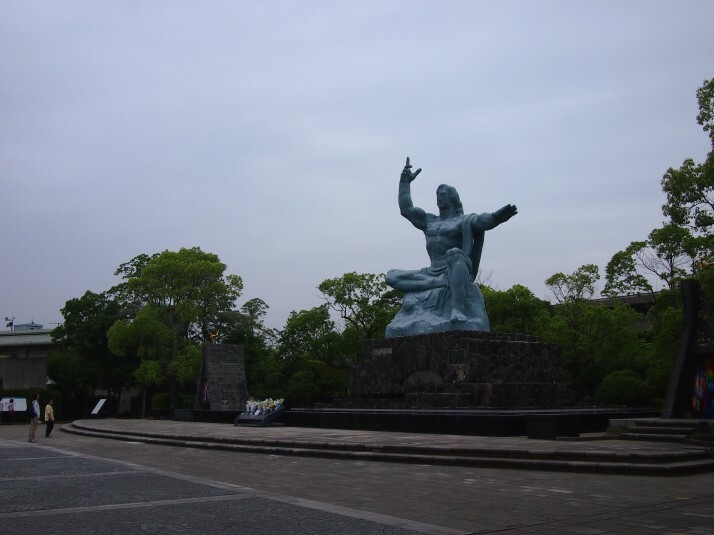 Of the two, we preferred the layout, organisation and smaller size of Nagasaki’s Atomic Bomb Museum, and the more contemplative, greener and spacious Peace Park in Hiroshima. 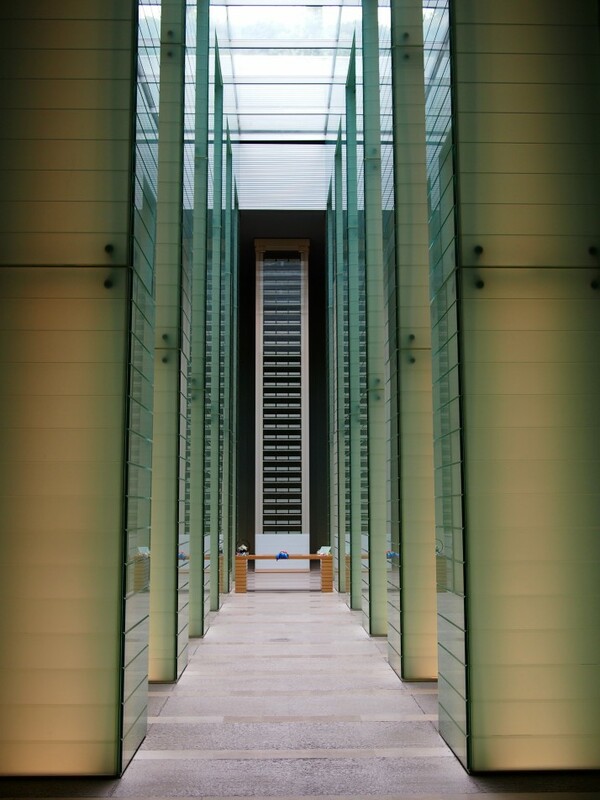 We found Nagasaki to be a historically rich destination, and we were pleased we made the effort to visit. This entry was posted in Places and tagged Japan, Nagasaki on June 20, 2014 by Andrew. What is 20 + 8 ?